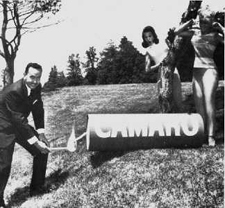 Though the car’s name was contrived with no meaning, GM researchers reportedly found the word in a French dictionary as a slang term for “friend” or “companion.” In some automotive periodicals before official release, it was code-named “Panther,” however, the project designation for the Camaro was XP-836 and some early GM photos show the final Camaro body labeled “Chaparral”. Automotive press asked Chevrolet product managers “What is a Camaro?”, and were told it was “a small, vicious animal that eats Mustangs”. The name conveniently fit Chevrolet’s “C” naming structure that included Corvair, Chevelle, Chevy II, and Corvette. When Ford introduced the Mustang in 1964 there was no immediate reaction from General Motors, but by August of 1964, just four months after the Mustang’s introduction, GM realized the appeal of a four seat sports car. Ironically, the Mustang was created in response to the Chevrolet Corvair Monza! When the Mustang sold 100,000 units in the first six months, and almost half a million the first year, GM took an interest. The responsibility for GM’s Mustang fighter was given to the GM Design Center’s Chevrolet Studio under the direction of Henry C. Haga. Interior design was directed by George Angersbach, who had been heavily involved in the design of the Corvette, Corvair, and the Chevy II, which became the Nova in 1968. It has long been a misconception that the ’67 Camaro was designed from Chevy II components when actually it was the other way around. The Chevy II was to be all new for ’68 and it shared many parts with the ’67 Camaro, but this did lead to compromises in the design, most notably the cowl height and hood length. One unique feature was the decision to use a front sub-frame isolated with rubber “biscuits” in combination with the unit body construction of the rest of the car, a technique that had been used on several European cars, including many Mercedes-Benz models. 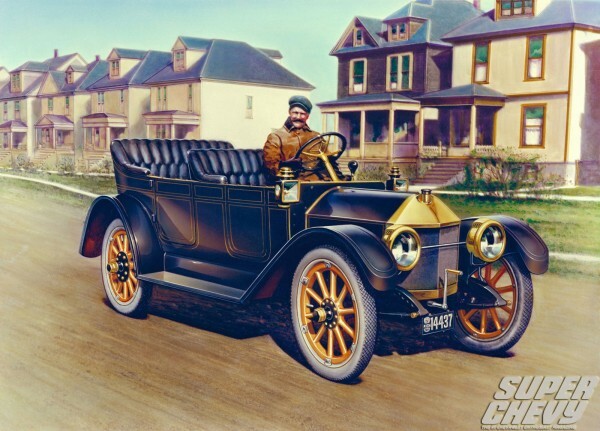 This combined the best of both worlds-a larger interior and more luggage space than was possible with a traditional frame and at the same time a quieter, smoother ride than a full uni-body car delivered.